A New Vision of Lady Liberty in Stunning 99.9% Pure Silver! For more than 200 years, Lady Liberty has been a proud symbol of American independence, freedom and opportunity for millions of people in the United States and around the world. Over the years, the way we see her has changed to reflect the times and the eye of the interpreter. Either capped or with flowing hair, fully clothed or with an exposed breast, holding a shield, torch or olive branch -- each version of Liberty is full of beauty, symbolism and representation. What we see in her is, ideally, what we'd like to see within all of us. The Silver Follow-Up to One of 2017's Most Popular Gold Coins! With 2017 heralding its 225th anniversary, the United States Mint celebrated the momentous occasion by introducing the Gold American Liberty Proof. Featuring a new artistic interpretation of Lady Liberty, this critically-acclaimed coin became a media event well before its release. 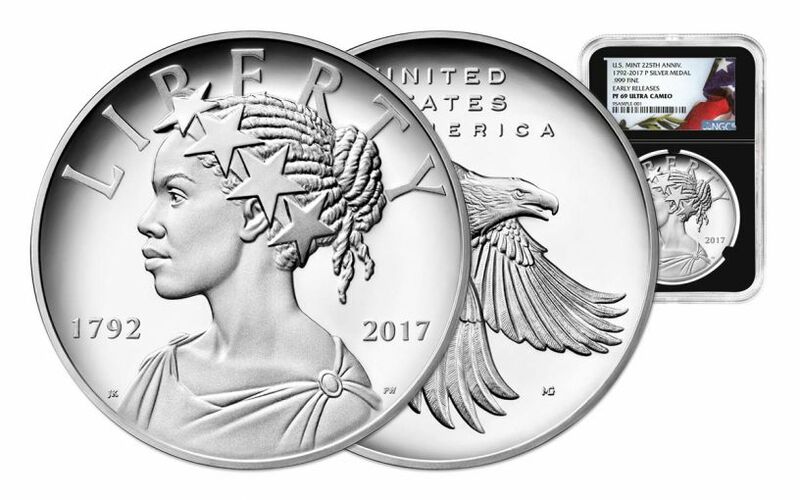 Now, hot on the heels of this popular release is its shining silver counterpart -- the 2017 1-oz Silver American Liberty Medal. 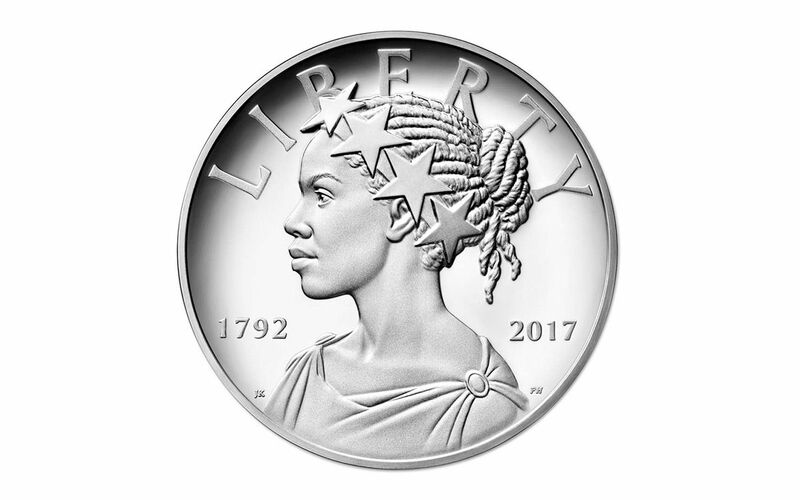 Produced by the Philadelphia Mint, this gorgeous proof also marks the U.S. Mint's anniversary in addition to serving as the first silver medal of the American Liberty biennial series -- imagining Lady Liberty through the prism of our nation's cultural and ethnic diversity. Like its golden predecessor, Liberty is portrayed as a beautiful African-American woman, wreathed with stars reminiscent of Thomas Crawford's "Statue of Freedom" that graces the top of the U.S. Capitol building. 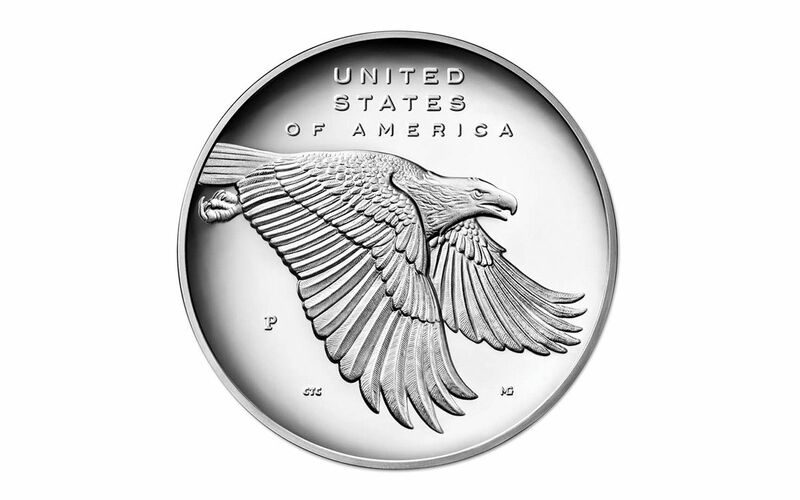 In fact, the most notable design difference from the gold proof is a taller, fuller portrait of Liberty on the silver proof. Since this silver medal is not legal tender, the mandated inscription of "In God We Trust" has been removed in order to bring Lady Liberty's profile all the way down to the rim. Amazing Features That Make This Liberty Impossible to Resist! Your medal will be graded Proof-69 Ultra Cameo (PF69 UC) by Numismatic Guaranty Corporation (NGC), a distinction that means your almost-flawless American Liberty Silver Medal Proof will showcase an impressive full strike and indistinguishable imperfections -- well above and beyond the quality of the vast majority of proofs in the series. In fact, many collectors prefer the PF69 UC grade since it certifies recognized collector status for just a small premium above ungraded proofs. Your proof will also be sonically sealed in an acrylic case with a black core insert -- providing you the best in protection while giving you clear sightlines and perfect visual contrast for every beautiful detail. In 1987, NGC used this same color of display core when they started grading coins, switching to white as their default color soon after. Now, NGC has reintroduced this popular "retro" core color! In addition, your proof's unique characteristics will be described in detail on the acrylic case’s American flag label, featuring a vivid, full-color image of "The Star Spangled Banner." Finally, you will receive a booklet from the United States Mint that charts the history of this national emblem. Like the gold proof that came before it, this silver medal proof version of the 2017 American Liberty is attracting collectors from around the world. 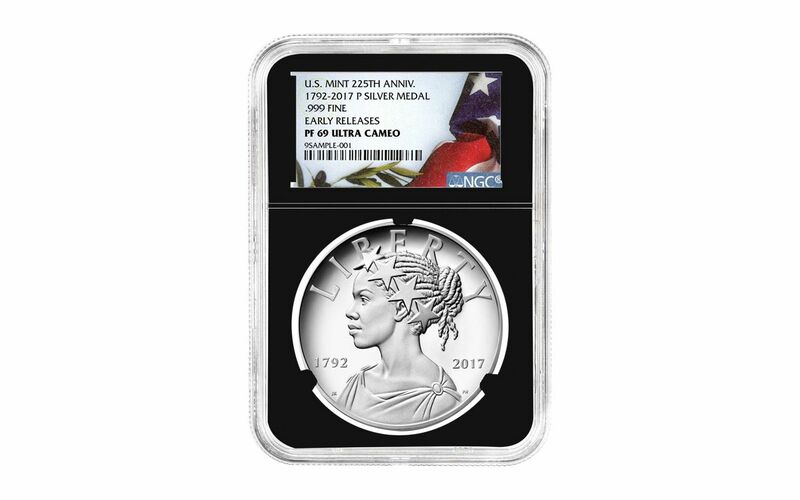 As a perfect companion to the 2017 Gold American Liberty Proof you might already have or as a more affordable way to bring home this revolutionary design, this 2017 American Liberty Silver Medal Proof is a definite collection essential. Don't miss out on this historic opportunity -- add this sublime silver vision to your cart now!